Our drivers will deliver your shipment to destinations throughout Europe. We do so at a competitive rate. We have an ultra-modern fleet of refrigerated trucks for sustainable conditioned transports. Of course we have well-trained staff and qualified drivers who speak different languages. This allows them to often speak to your customers in their own language which makes the communication run smoothly. Prologics Transport stands for quality, professionalism and safety. This safety issue is particularly important and therefore a tough demand when it comes to transporting food or pharmaceutical goods. This is the reason why Prologics has all the required certificates such as HACCP, PMT and ACN. Why would you choose Prologics Transport? * We are your reliable partner when it comes to road transport within Europe. * Your goods are in safe hands all the way: from departure to destination. * Our Track and Trace module gives us live insight into our fleet so we always know where your cargo is located 24 hours a day, 7 days a week. 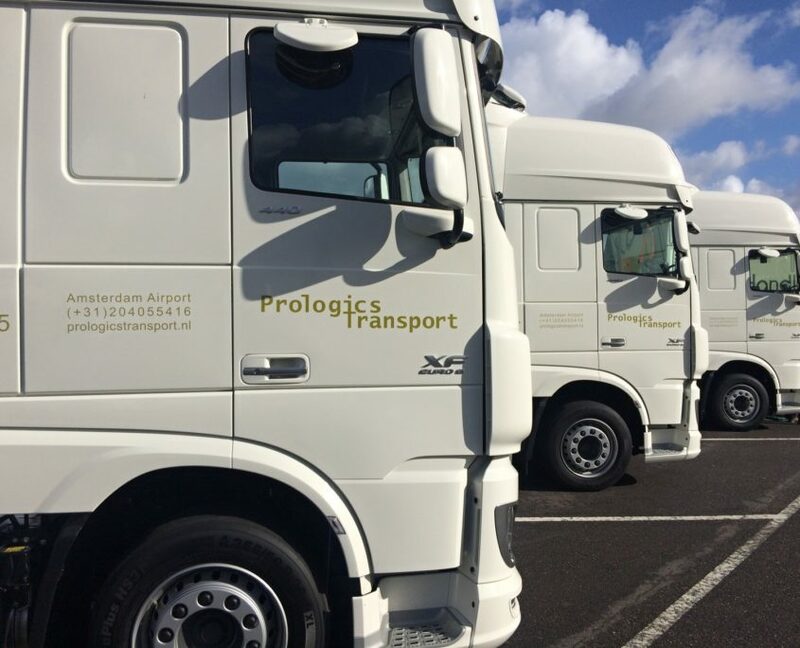 Interested in the transport services of Prologics Transport? We offer tailor-made solutions based on your wishes and needs.